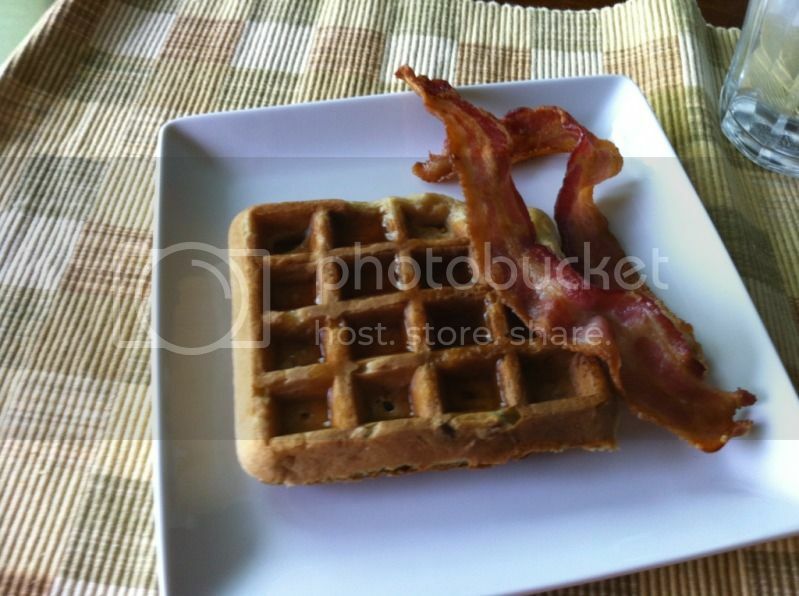 I've been wanting to make banana waffles for some time now, particularly since bananas seem to be rotting at a quick pace in my new fridge as of late. I don't know whether my green bags have pooped out on me, or the temperature's not right, or if it's the bananas themselves, but they seem to be going both brown and rotten quicker than ever. (As you may know, I prefer cold bananas and thus put them in the fridge. Normally, this would make them turn brown but stay firm. Until recently the food bags would stave off the discoloration, but lately it hasn't worked.) Anyway, of course I try this recipe the day after I buy new bananas. Thus, the bananas were actually a little on the green side. Nonetheless, the recipe turned out great and this one will definitely be going in the repertoire. This recipe comes from The Happy Housewife. I made a few changes to lighten the recipe a bit such as swapping in apple sauce and some wheat flour. The recipe is written below as I prepared it. 1. In a large bowl, whisk together flours, baking soda, baking powder, salt and sugar. 2. In a medium bowl, whisk together apple sauce, oil, eggs, vanilla, buttermilk and banana. 3. Stir wet into dry until thoroughly mixed. Fold in pecans. 4. 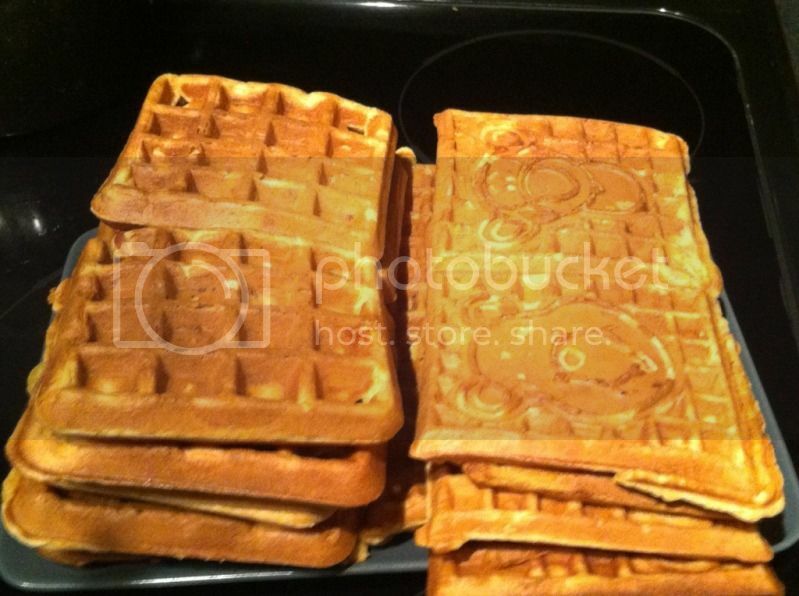 Cook in either Belgian or regular waffle pan until golden brown. I'll have to try these. 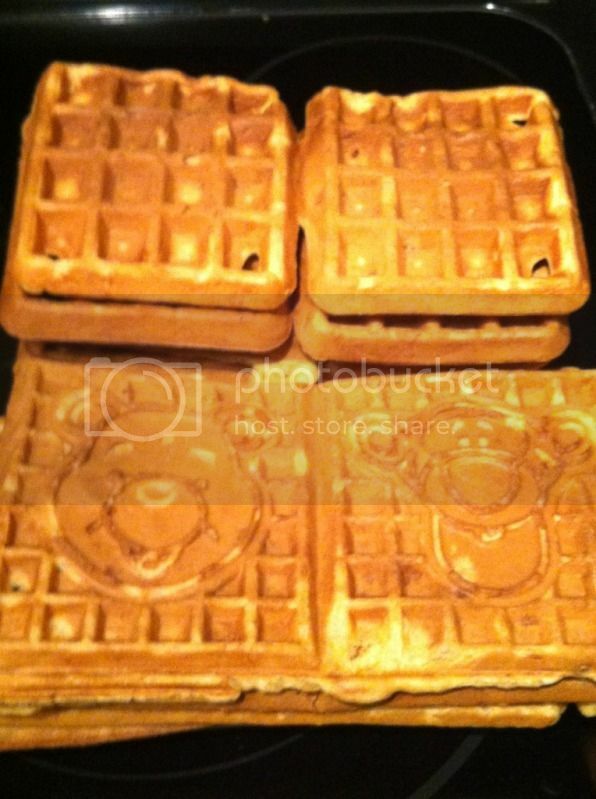 I keep searching for the perfect waffle recipe.